Some years ago, I took a plane to my mother’s homeland. It was an amazing trip, but there is one day that I will never forget. We had gone to an artisan’s town by the sea. Quirky little cafés, lots of cats lounging about, friendly hipster-ish people. (Is that even a word?) 😉 Above all, there was a street market with stalls full of hand-made crafts— jewelry, painted scarves, little framed drawings of beautiful, everyday life. And, of course, a few second-hand book stalls that I was immediately drawn to. My mother being the local, she asked the wizened old man behind the stand if there were any good English books for me to read over the summer. He smiled and took out a couple of short, easy books. My mother and I laughed and told him that we would prefer something a little bit more complex. So he went over to the back and brought us some classics and other books. Around the World in 80 Days caught my eye. So we bought it, along with a few other books, all published by Oxford. I loved the books. I read them over and over and over for the entirety of the summer. In my copy of Around the World in 80 Days, there was a post-it note on the first page translating some of the words. I never took it out. On the inside of the cover, there was a stamp marking it as an imported book, and some of the words in the story were underlined in pencil. The cover was a bright orange, faded only at the binding, hinting that it had been sitting on a bookshelf for a long time. I also realized that this particular copy had been published in 1982. It was as if it had been handed to me from a time machine. Who had owned this before me? Why did they buy it? Did that post-it note mean they were studying for an exam? I was glad that they hadn’t simply thrown the book away. Instead, it had ended up with me. It had left a mark on their life first, and they had marked the book— underlining and fading and noting. And now it leaves a mark on my life, and I will leave a mark on it. And who knows? Maybe it will end up with another person in the future. I felt like a book detective, and I liked it. Young twelve-year-old Lemony Snicket is in a tearoom, with his “parents”, when a particular woman with particularly wild hair drops a particular note into his lap. When Lemony climbs into the roadster after exactly five minutes: one to find the note, one to walk to the bathroom, one to wait for a man in the bathroom to leave, and two to set up a ladder, unlatch the window, and to jump out into the alley. The woman introduces herself as S. Theodora Markson. She is his chaperone, and, as she keeps reminding Snicket, he is only her apprentice. Things immediately start going downhill when he learns they will be working not in the city where he expected, but in a town named Stain’d-by-the-Sea, which is no longer by the sea, seaing seeing as it had been drained to save the town. He immediately encounters a mystery… one dealing with the stolen statue of the Bombinating Beast, a mythological sea monster. But once Snicket investigates a little more, he realizes that there is more to this seemingly simple case. He meets a young journalist, Moxie Mallahan, who becomes his constant friend, and two younger boys, Pip and Squeak, but most interestingly of all, a mysteriously mysterious girl named Ellington Feint, who likes coffee and has secrets. He realizes others are out to get the statue of the Bombinating Beast as well— if not for the reasons he thinks. Snicket does find the statue, and soon loses it. He trusts the wrong people, asks the wrong questions, and in the end, is betrayed. Now he has become immersed in the mystery in ways he never imagined and must hurry to save his friends. Simply put, this. Book. Is. Amazing. Lemony Snicket has done it again! If you, like me, adored his A Series of Unfortunate Events, then you will love this book just as much. (Note to self- review A Series of Unfortunate Events.) The setting is as quirky as possible: a town that used to be by the sea but now isn’t, a town which is slowly emptying as its inhabitants move away. And the characters are among the most eccentric and interesting I have read about in a while. Secondly, Snicket’s signature style of word-play and witty sentences is wonderful and keeps you engrossed, maybe a little confused (but in a good way), and eagerly turning pages…. “They say in every library there is a single book that can answer the question that burns like a fire in the mind.” The mystery of the story— ah, the infamous stolen statue!— is a winding, complex one, and this noir novel ends in a cliffhanger that leads you to wonder: Have you been asking the right questions? Hi everyone! 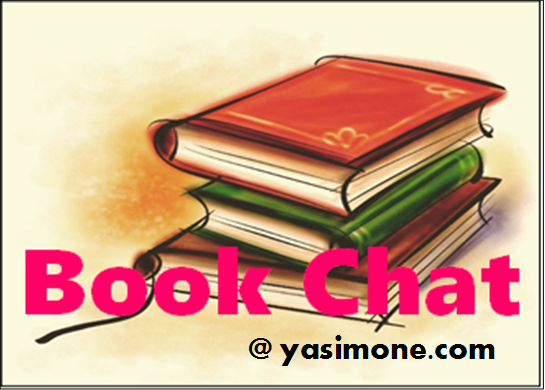 I have decided to do a “Book Chat” post every so often, and each Book Chat will have a different topic, like my opinion on different book genres, what I look for in a good story, and things like that. I did a poll about eBooks earlier this month, and 50% of you said that you preferred real books because “Nothing can replace the feel of a book in your hands, and it’s a great way to get away from technology for a while.” 25% of you said that you preferred eBooks because “They’re much more convenient” and you “can have an entire library in one slim tablet!” The remaining 25% said that “It doesn’t matter” to you, because as long as you can read, you’re good. So, what are some pros and cons of the eBook? eBook version of a novel is often cheaper. For instance, a hardcover book may cost $25, but if you buy it on an eBook, it can cost about $14.99. Space-savers. If you devour books by the dozen, like me, then most likely, you have a huge overflowing bookcase or a towering stack of library books. With eBooks, you can own all those books in one slim tablet, and therefore you have a less cluttered room. Costly! Yup, if you want to buy an eReader, prices can range from around $50 to $200. (Not to mention actually buying the virtual books.) Real books, however, are usually around the $10-$30 area. Personal love. Some books just have personal value— you can take a specific book in your hand, and remember your late grandma, who gifted that book to you on your 12th birthday, or you can remember that you bought it at your favourite bookstore, the one that closed down last year. eBooks simply don’t offer that option (most likely you won’t stare at your screen and think, “Oh, I remember that I bought this with my cousin’s gift card!”). Tradition and attachment. Books are objects that we can actually get attached to. Reading your favourite copy of a novel after a bad day can give you the same feeling of being with a good friend. With eBooks, you can’t hold or smell or love that dog-eared, faded old copy. Meet Annie Richards. She’s just a regular girl… although she’s much, much more cautious than other kids. Everyone tells her not to worry so much, that she is fine— but that’s what they told Jared, her brother, and Jared died. 😥 Annie has become obsessed with being safe: she wears a bike helmet during car rides, covers her mosquito bites with Band-Aids (wondering if they might be chicken pox), and steals a medical dictionary so she can study every possible disease (and self-diagnose herself to avoid the same fate as Jared, who died of something so incredibly rare that even the doctors didn’t discover it until he after died). Annie is still fun— just the careful type of fun. When Annie’s best friend Rebecca’s hamster dies, Rebecca is distraught, but Annie is numb. Annie runs away, not being able to face another death, another funeral, and Rebecca is hurt and angry. So Annie turns to the new neighbour, Mrs. Finch, who is good-humoured, patient, and wise. And little does Annie know that Mrs. Finch is grieving too. Through weeding Mrs. Finch’s garden, playing cards, and drinking tea over a good conversation, the two bond. Not only does Mrs. Finch bring Annie and Rebecca back together, she and Annie close their “umbrellas” of grief (which block out not only the “rain” of life, but also the “sunshine”) and teach others, including Annie’s parents, to do so as well. This is a radiant, beautiful book. It’s a heartwarming story of one girl’s grief, and what I liked about that was the fact Annie didn’t act the way you would think after someone would after their brother had died. Her way of coping with that immense amount of grief is to push it away by putting all her focus on ways to keep herself safe, so much that there’s no time left to think about Jared. And that’s the part that really makes your heart ache for her. Her friend Rebecca, though a nice girl, has a hard time understanding Annie until her own hamster dies, and her parents are too caught up in their own sadness to realize that Annie needs to learn to step out into the sunshine again. Mrs. Finch is the ultimate wise, elderly woman who’s been through everything and is happy to share ways to help others. I really enjoyed the symbolic reference of the umbrella, because I think that all of us, at some points of our lives, like Annie, get too caught up in this protection to realize we no longer need to use those “umbrellas” to block out our problems, and this book gives us that touching concept to us as a lesson from Mrs. Finch. This is a sincere, memorable story perfect for bringing sunshine into everyone’s hearts. To Kill a Mockingbird… the Sequel! Harper Lee, author of the the extremely successful classic novel, To Kill a Mockingbird, is “humbled and amazed” that her second novel is going to be published! (55 years after writing To Kill a Mockingbird, I might add.) The new book is actually the sequel, and features Scout Finch— who is the main character —as an adult. Ms. Lee technically wrote this book, which is called Go Set a Watchman, before writing her classic novel, but the manuscript was lost for a long time. It will most likely be published July 14th. Congratulations, Harper Lee!